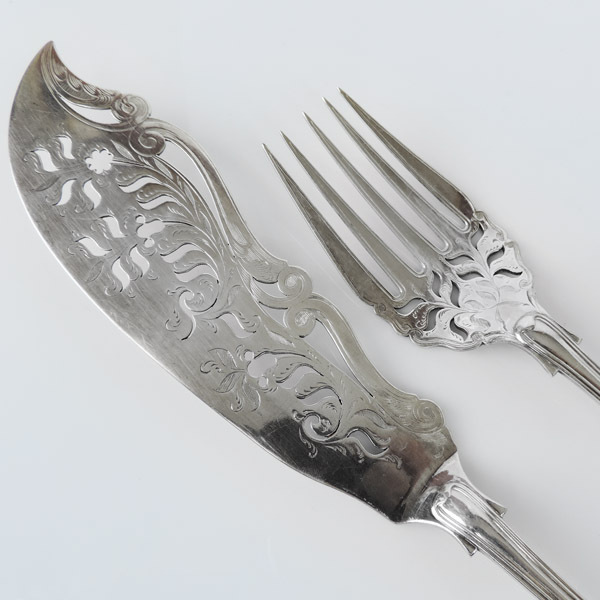 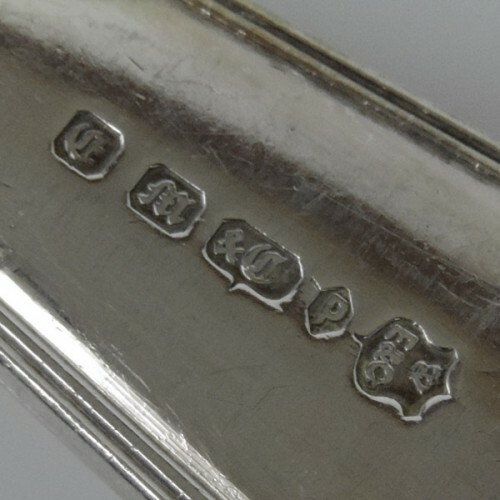 Both fork and knife are pierced and engraved with foliate ornaments. 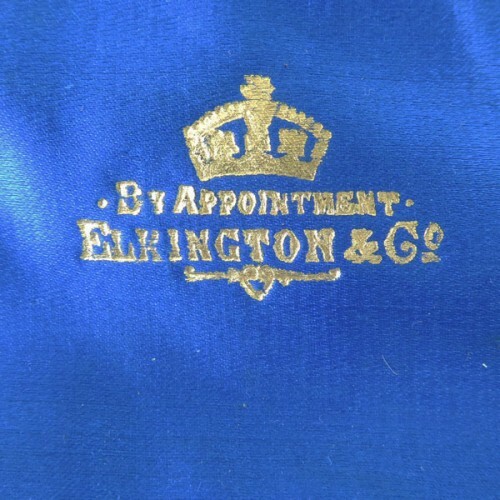 Comes in the original fitted case, printed in gilt letters – “By appointment Elkington & Co”. 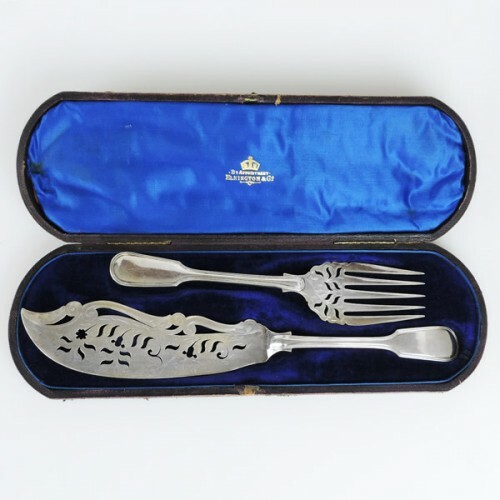 Very good condition, some wear to the case. 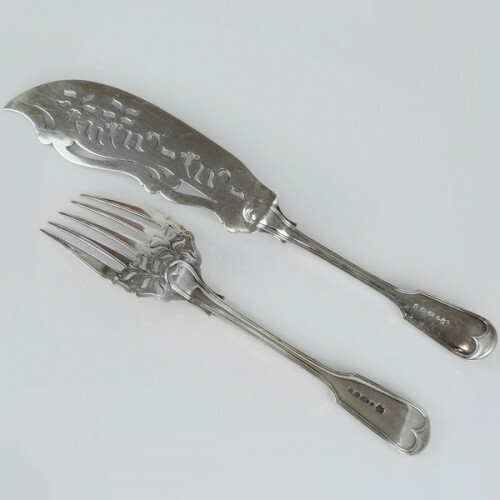 Fork’s length – 24cm / 9.45in. 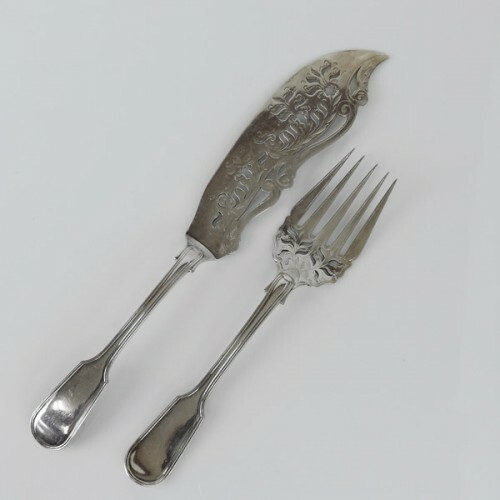 Knife’s length – 33cm / 13in.